A lost sailor was heading across the Atlantic Ocean when an enormous wave overturned the ship and the sailor was cast overboard. 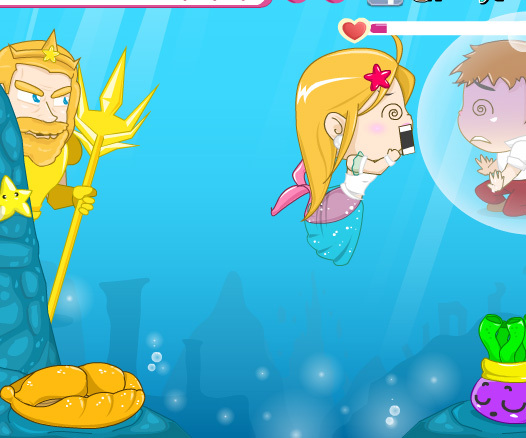 Luckily for the mermaid, the sailor fell through the leagues of the ocean trapped in a giant air bubble. 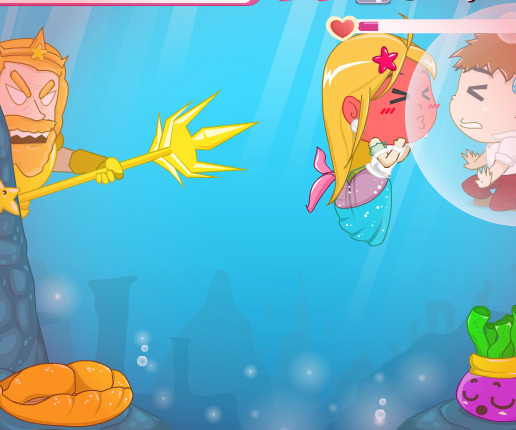 Don't let the sailor run out of air, and don't let your Dad, the king of the sea, catch you kissing a mortal.